6	Online messages influence our experience of emotions, which may affect a variety of offline behaviours. Released today, Facebook shows that seeing more positive emotions on Facebook leads to more positive posts and vice versa. The 2012 research has been written up by Kramer et al. (2014) and describes how they manipulated newsfeeds in English speaking participants to show either less positive or negative posts by their friends. They found a strong link in seeing positive emotions in Facebook Newsfeeds leading to more positive emotions in individual posts, which disproves the adage that “exposure to the happiness of others may actually be depressing to us”. So I wonder if that is what friends think, then how does that influence business pages? Facebook business pages rely on people (friends) sharing your posts, liking them, commenting on them; all of which appear in their friends’ newsfeed and activity feed. So if business is positive in their emotions on their Facebook page, will that increase sales? Mazaheri et al. (2011) found in their research of Canadians that customer attitudes on the site positively (and significantly) influenced their service attitudes and that service attitudes influenced buying intention. They also found that the perceived entertainment value of the site positively influenced customer attitudes. Varhagen & van Dolen (2011), took this intention one step further showing that positive intention lead to actual purchases. Businesses rely on likes, comments & shares of their Facebook posts to increase their customer base, increase brand awareness and boost sales. Whilst product scarcity can drive sales, the Facebook research shows that post emotion drives user emotion. It also shows that user emotion can drive offline behaviour. This links with the 2011 research by Mazaheri et al and Varhagen & van Dolen. Varhagen & van Dolen (2011) found that “Consumer behaviour is likely to be dominated by positive emotions and less by negative emotions”. Businesses need to consider why they have a Facebook page. Is it there to entertain? Is it there to inform? Is it there to drive sales? If your Facebook page exists to do any of these things then you need to pay attention to the Facebook research. So, if your Facebook page is entertaining, then this will increase how customers view your business. If they view it more positively, they are more likely to view the service they receive as positive. If they believe that the service they will receive is positive, then they are more likely to want to purchase from you. If they want to purchase from you, they will. Positive emotion in your posts = positive emotion in your customers posts on Facebook. Positive emotions on Facebook leads to positive emotions offline. Positive emotions on a website (or Facebook page) leads to positive opinions towards service. Positive opinions of service leads to positive purchase intentions. Positive intentions lead to purchases. So it’s true! 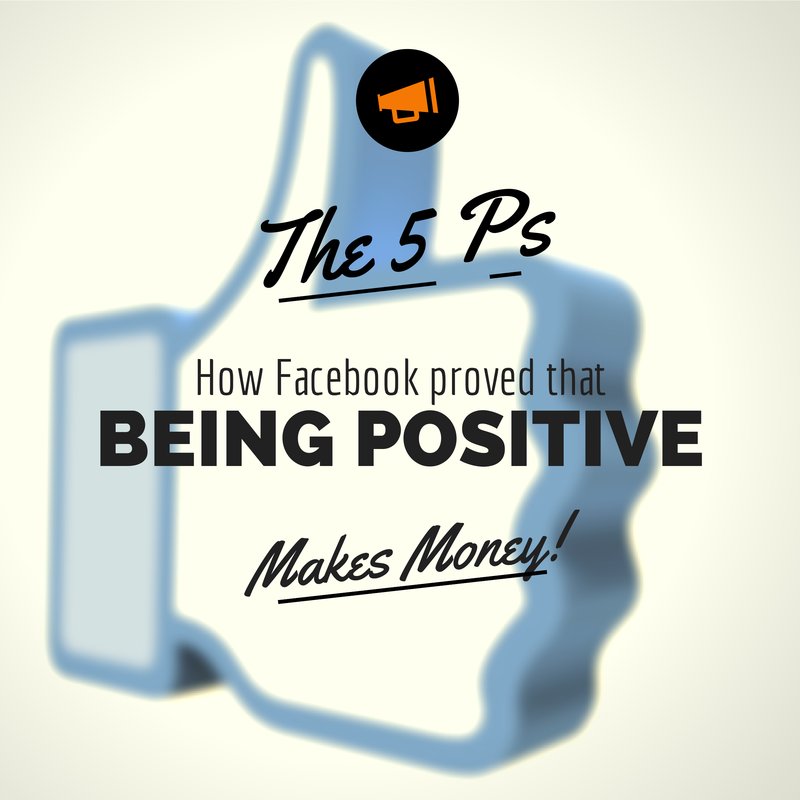 Being positive on your Facebook page, really does make for good business and makes you money! Read more on the topic of how to handle negative business situations in a positive manner. In 2015 I wrote the following in response to research by Buffer into neurochemistry and social media use. Adam D. I. Kramer, Jamie E. Guillory, and Jeffrey T. Hancock (2014). Experimental evidence of massive-scale emotional contagion through social networks. Proceedings of the National Academy of Sciences of the United States of America, 111, 24, pp 8788-90. Ebrahim Mazaheri, Marie-Odile Richard, Miche Laroche, (2011). Online consumer behaviour: Comparing Canadian and Chinese website visitors. Journal of Business Research (Vol. 64), (Issue 9), pp. 959-965. Tibert Verhagen and Willemijn van Dolen (2011). The influence of online store beliefs on consumer online impulse buying: A model and empirical application. Information and Management, 48, pp 320-327. Some students believe grades are born from hard work and determination, some coast them in on a flying Frisbee, while others pull them from thin air. 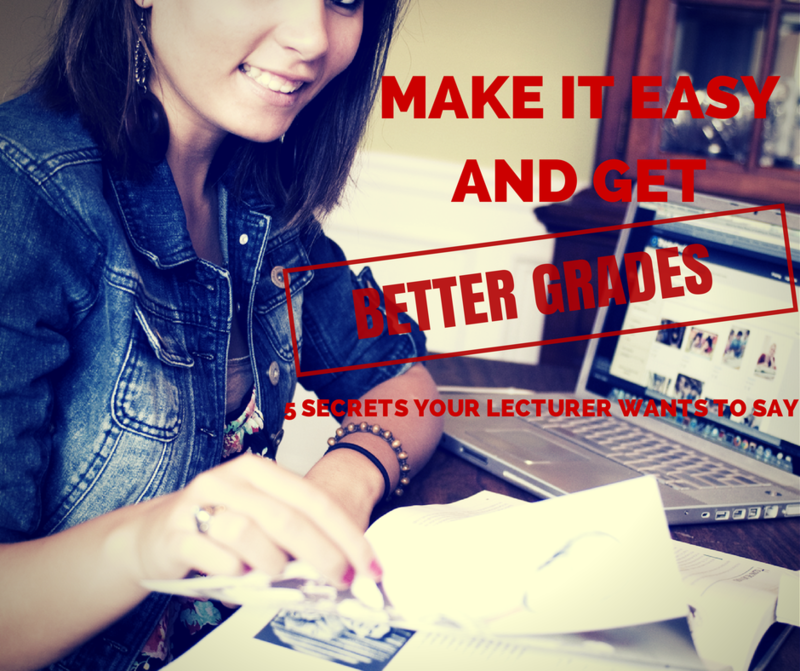 There is a magic to good grades and there are some secrets. These are the secrets that lecturers wish they could say, but can’t. Sure if you answer the question you will get the grade, but what if you are the tenth student to miss the point of the essay? What if you’re the tenth person to hand up a rushed piece of work at the eleventh hour (and we’ve all done that)? What if your essay is riddled with spelling errors and the lecturer is trying to get all of your assignments back before your exam in a fortnight and it’s 11pm? These factors can influence your grade. Let’s face it they are human and there is only a certain limit to their tolerance. Yes, this is what they get paid to do, but along with the planning, recording, publishing (yes, they need to publish notes and handouts), writing (yes, they need to write your exam), delivering lectures, answering questions (in person, by phone, and email), marking, and writing up reports. This is in addition to the professional development they are expected to undertake, business meetings they have to attend, research they need to undertake to keep their job, and travel they have to do to keep money coming into the University to help pay for your course. Everyone has their limits, even lecturers, if you want the grade you need to make it easy for the lecturer to give it to you. After proofreading a number of PhD assignments I can tell when a student is getting to their wits end. You make more spelling and grammatical errors, some of them are often quite silly. Your sentences are shorter. You don’t reference as much as you have earlier. Your tone changes to one that is quite abrupt. Plan your time, not just your essay! In the main, lecturers offer time up to assist students with their work. This could be through tutorials, contact time where you can visit and chat, and via email. In all of my years of study I have seldom come across a lecturer who will baulk at the idea of you bouncing your idea at them. Don’t get me wrong, they won’t give you the answer nor will they tell you if you are on the right track to getting a Distinction, but they will steer you in the right direction. Lecturers don’t want their students to fail, remember they too were students and can remember how it felt; they also get assessed on their pass rate. Make sure you plan your essay, check it against the question at the start and check your essay against it at the end. Everyone has their own definition of reasonable, the one which counts here is the lecturer’s. Don’t expect a warm reception if you demand feedback on why you only received 90% on your assignment, when they have students who are scraping through who they know could do better. Conversely, don’t expect them to detail, chapter and verse, how you could have gotten that Distinction when you actually failed or scraped through. What they will do is point out some of the things discussed in this post, like, how you failed to answer the question, how your spelling made it difficult to read, how poor grammar made your assignment difficult to understand and therefore the lecturer was uncertain of the point you were trying to make, or the importance of references in backing up your argument and the consideration given to them professionally. We all gossip and they are no different. They will compare students, they will whinge about students and they will wonder why you are doing well in one class but not theirs (they can be vain beasts). This means, don’t gripe about them in earshot of another. Don’t whinge to your tutor about your lecturer. Conversely, show them that you are an open, honest and willing to learn and see how that goes. All of these things will help to create a picture in their mind of the kind of person you are and rightly or wrongly, for some, that can influence your grade. Be considerate, they are human and have a life outside Uni too. Rant Alert! Are you partial to a Facebook rant? Did you know that it can damage your business? Here are 5 ways to diffuse a rant and still get your message across. I’m all for a good rant, it gets the emotions out in the open, dusts off cobwebs and lets people know where you stand. I cringe when I see it on business pages or in Facebook groups. And that’s it! Why? Why do you want us to know this? Why do you need to come from a place of negativity? Why is there not a constructive way to get your message across? If you walked into a bricks & mortar store and the shop owner ranted at you about the previous customer, how would you feel? What would it make you think about their service and respect for their customers? Last week I wrote how Facebook is a social medium and that there were ways to be sociable. Ranting isn’t social, it’s finger pointing and demeaning. It doesn’t really educate or inform. It doesn’t make your customers laugh or feel good about you or themselves. It makes you feel better for getting something off of your chest, but it puts you in an offensive position and someone, therefore, will be in a defensive position. While you might think that having a rant in a group is ‘safe’ because it isn’t on your business page, you forget that the people in the group are prospective customers and they are seeing you let fly about how stupid a customer has been, how annoying a competitor is by copying your idea or how Facebook is driving you nuts because no one is seeing your posts. Do they need to know that about your personality? So what can you do when you need a good rant? I have a few friends, and my very understanding hubby, who receive my rants. I do rant on Facebook about customers, business & Facebook (I’m human, people get to me); but I do it in a private message with my friends. There’s nothing quite like letting the fingers fly in a message to someone who knows all you need to do is let off steam. The thing is that the message is contained; we know where we stand and when we need advice and when we just need someone to be there for us. Honestly, will waiting 10 – 24 hours make a huge difference to the situation? I do this A LOT. Though I sometimes find it hard to go to sleep, putting the space and time between the initial rant inducing event and the actual rant response can be beneficial. It gives you time to stop and think. When I was managing 10 staff over four locations I was often put in rant-worthy situations. 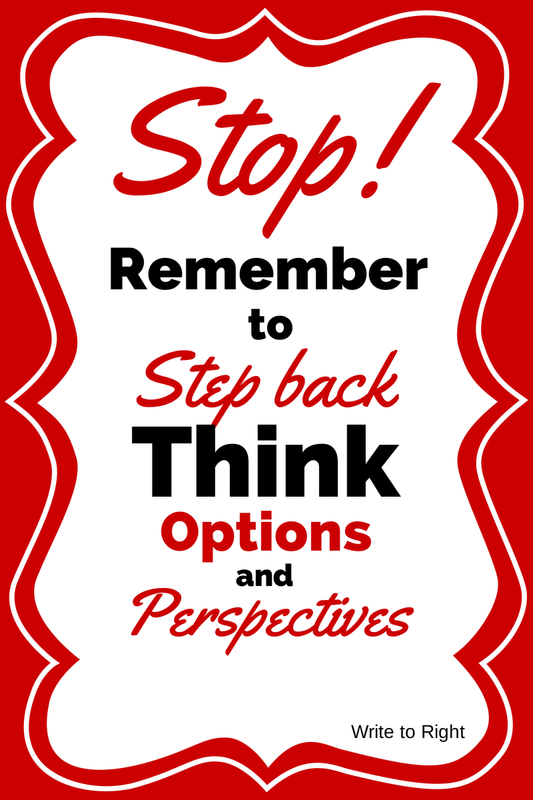 I developed this mnemonic: STOP; Step back, Think, Options, Perspective (mine & theirs). Write it in a document and don’t send it. As much as I love my friends and hubby, sometimes they just don’t get it. They want to fix the problem, they offer solutions and all I want to do is get it ‘off my chest’ and let fly. The computer is not going to mind you having a go at it. Now walk away and leave that document for another couple of hours. The best thing is that this document can help, read on! So you have ranted in a message, given it 24 hours, you have done your STOP list and/or written the rant in an unsent document and you are still wound up. Go back and open up that document and delete all of the emotion filled words. I don’t mean in track changes either. Get rid of them for good, because they won’t help you. What are you left with? Read over the document again. ~ Is there a theme running through the document? ~ Is the theme about you and your reactions or actions? ~ Is the theme about the other person and what they did or didn’t do? ~ Is there a miscommunication or misunderstanding? ~ Is someone missing some information? Now rewrite the document, yes start a new document, filling in the gaps. Apologise for the mistake or misunderstanding, apologising diffuses a situation. Apologising shows that you have considered the situation from their perspective (stoP). Write down what services you offer to fix or prevent that situation. If you don’t have a service that will fix or prevent it from happening again, what will you change to prevent it in the future. These are your Options (stOp). Now, step away from the document for a while – go get some sun, go for a walk or have a cuppa. Done? Now open this new document and remove any emotion filled language. Do you see any themes? Can you condense your message? Now, is that message important enough to send? Will it inform or educate? Will it help someone other than you? Yes? Read on. 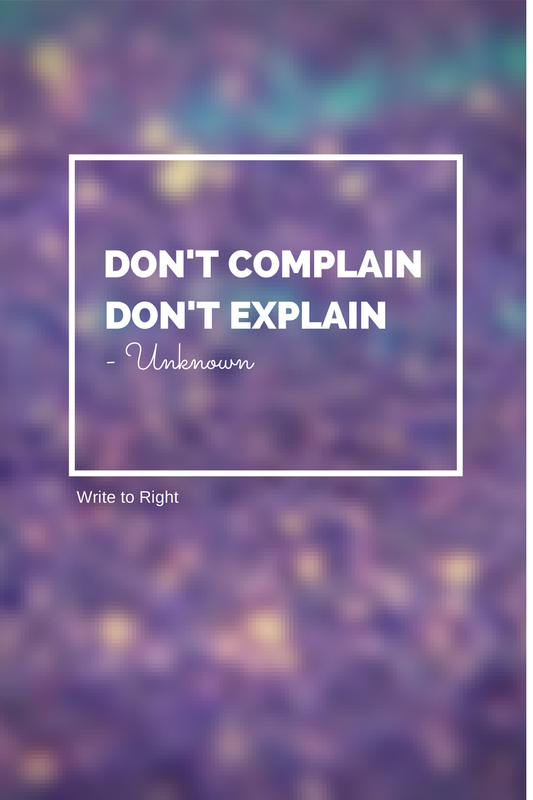 If you have come to a point that you have devised the theme of the issue at hand, outlined what can or will be done to fix or prevent it, written it in a way to inform or educate (but please don’t be condescending), removed the emotion, and realised that the message is there to help others and not just acts to get something ‘off of your chest’; then you need to decide how to deliver the message. Does the message apply to just one person and do you think they will benefit from hearing what you have to say (remember, Perspective) then send them a message. Use what you have written in the document to form an email to them. Will more than one person benefit from your message? Will it help the majority of your customers to know this little tidbit on how you work? Then by all means put up a Facebook post, write it in your newsletter or blog about it. Share your knowledge, but be constructive. Remember that people use Facebook to socialise, they don’t want doom and gloom and they certainly don’t want to be told how bad they are as customers, even if they have never bought from you – yet! Facebook is social media, not a sales platform. Here are 7 ways to be social, increase interaction & drive sales. Facebook, although it has the plug-ins for shops, is not a reliable way to sell; it doesn’t pass on notifications or messages, it loses comments & if it gets really huffy it will stop you from accessing/commenting/posting. The main problem with selling exclusively on Facebook is that the content below your main page level (photos, shops, events) is not indexed for internet searches, so unless a person is on Facebook (and many people aren’t) your business is not going to make a sale. Facebook is part of the group of social media platforms, in the beginning it was quite easy to generate sales, however, user behaviour is changing. Facebook is returning to a social medium, where people escape from their chaotic/dreary/mundane lives. So, how can you help them to escape AND generate engagement, customer base and sales? Make them laugh, share a joke, share a funny photo, share a funny story. It turns frowns upside down. Best of all, research shows that if you help someone feel better, you feel better too. I haven’t done this on my pages, but I have seen it done quite successfully. I have seen businesses share their struggles with cancer, when they have welcomed a new family member into their arms (be it a human or fur baby), when they have said goodbye to a family member, or when they just don’t feel as if they can continue their business. I am not suggesting that your posts always relate to these things, too much doom and gloom does not make for a very sociable page. I’m also not suggesting that you whinge about not being seen in Facebook feeds, or declining sales – that said, I have seen a great spin on driving sales by tying the need for sales to fund a common purpose (buying a special birthday gift, wanting a new appliance). Just make yourself approachable. I do this on my other business page, where most of my customers are parents. I share with them things I have done to make my life easier. I share with them if I have a bad day and need another coffee (or am waiting until bedtime/wine o’clock). I know of businesses that get fabulous interaction from sharing their struggles with mental illness, cyber-bullying or David & Goliath stories. It creates rapport and if your customers ever see you face-to-face it means that you have one less barrier to overcome – trust. If they feel that they already know you, that you are like a friend, then they can trust you. Certainly applaud your successes – business award nominations and signing a major retail customer instil confidence through third-party endorsement. Applaud customers who share their creations using your products, show them how proud you are that they have succeeded (and you have helped them to get there). Applaud friends in business, celebrate their triumphs and share the love. Remember that helping others makes you feel good long after the act of helping is over. Set up a regular post and teach your customers something that relates directly to your business. My other business is making hair accessories and every Sunday night I share a hair tutorial I have found. Sometimes it is a way to improve a technique, sometimes it is a new technique, and sometimes it’s a new style. I have likers who tune in every Sunday just to see the tutorial. My likers will comment, tag and share the tutorials; all of which increase engagement on my page, improving my Edgerank and how often Facebook shows the page in Newsfeeds. I will occasionally share styles that use accessories and I will link to the related accessory in the post comments. If you are in a service industry teach them something about what you do or teach them what they need to do to make working with you easier (eg. an accountant shares an idea on organising receipts for tax time). Teaching creates a relationship and trust; it shows customers that you are willing to share what you know with them. On my other business page I do this when I am making my kids’ birthday cakes. I share the photos of the cakes my kids want to have and how they end up. My customers love it, they are parents and like to see that human side and where my ideas come from (I share blogs I use for inspiration). On Monday mornings I share an inspirational quote, an affirmation or a wish. It removes a feeling of doom and gloom often linked to Mondays. It makes me feel good as I believe that it will make someone’s day better and it reminds me of how I want to live my life. Inspiring others not only lifts the other person up, it lifts you up. Ask them to share your page, ask them to share their fears, ask them to share ideas on how to use your product or ask them to share photos of themselves using your product. – it is where your checkout is and where the buyers need to be. 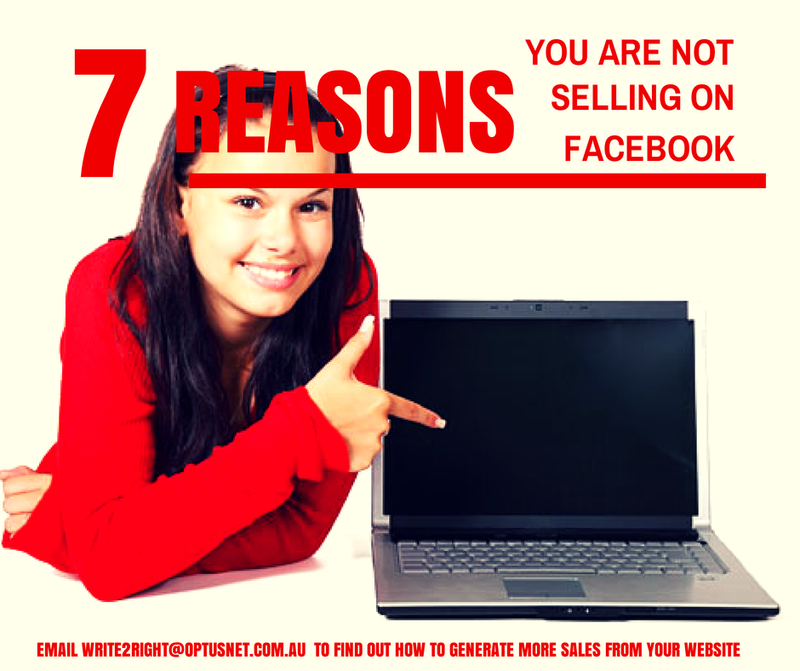 Facebook is a fabulous marketing tool, but it’s just that, a way to market your business. It is not a reliable way to sell your product. There are sociable ways to incorporate sales into your Facebook content; you just need to think socially. Let me know in the comments what other ways you like to be sociable on your Facebook business page. Want to learn more about writing for Facebook? Follow our two part series on finding your online voice. Copywriters are great, but they don’t know your business. When you are developing a business website, it needs to speak your customer’s language. It needs to be an extension of who you are offline. I don’t know of a better person to articulate that than you. A business website is there to sell your products or services when you can’t be. Sure a copywriter can be briefed, they know the right words to use to get great search results, they can say the same thing a dozen different ways; but are they the right people to be selling your business? If you were to engage a copywriter you would need to brief them on the ‘who, what, why’ of ‘you, your business and your customer’. Sounds to me you are doing a lot of the writing already. – Know your customer. How old are they? Are they a particular gender? Are they educated? What do they do for work? What problem are they coming to you to fix? How do they like to shop? – Know your product or service. What is it? How will it help your customer? How does it solve their problems? Why is it different? – Know your competition. How do they solve customer problems? How do they do things differently? – Know yourself. What image do you want to portray? In my years of e-business project management I learnt to talk to the business first. They hold the knowledge and the vision, not the person building the widget. From here all I can advise is to plan, write & review. If you will be maintaining your own website don’t be afraid to try different writing styles or tone; by experimenting you will soon see what appeals to your customers. Please plan your writing. Plan what website pages you will have, how your customers will use them (not just read them) & what you want to gain from the page. Put your customer first when you are writing. Remember that people want to know “What’s in it for me?” so tell them how they will benefit. You are the one who knows best how they will benefit. Plan the content. Write the most important benefits at the top of the page. 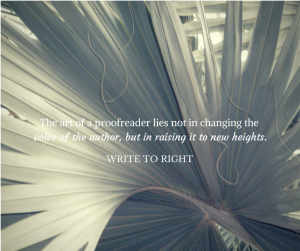 Use visual cues, like bold or italic font, to keep their eye active and moving down the page. Plan these cues when you are planning your page. Draft your pages in a word processing program. You can copy & paste from most and keep the formatting. You can move paragraphs around and remove any duplicated information. Check your pages against your plan. Does it meet the customer’s needs? 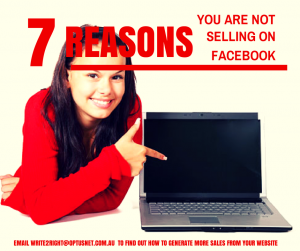 Will it adequately sell your business when you aren’t physically online? Leave it overnight and check it again tomorrow. Have it proofread (you knew I would mention it somewhere). After you have uploaded it to your site, give it a few weeks, a few months and review the page. Does it still help your business? Repeat the cycle. Write to Right offer a range of proofreading and editing services for documents and specialised packages for websites. If you choose to write your own content, it’s prudent to have someone else check your work. Let Write to Right make your business communication its best. Your website is promoting your business 24/7, the words that form the site should not be letting down your business.